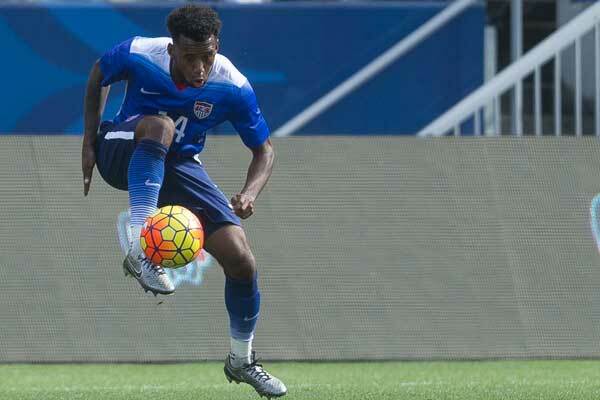 By Clemente Lisi – NEW YORK, NY (Jan 21, 2019) US Soccer Players – January has become synonymous with USMNT camp. This month’s confab stands out among those of the recent past because it’s the first for new coach Gregg Berhalter. What kind of manager will Berhalter be? To examine what we can expect, one needs to look at Berhalter's tactics and coaching philosophy. 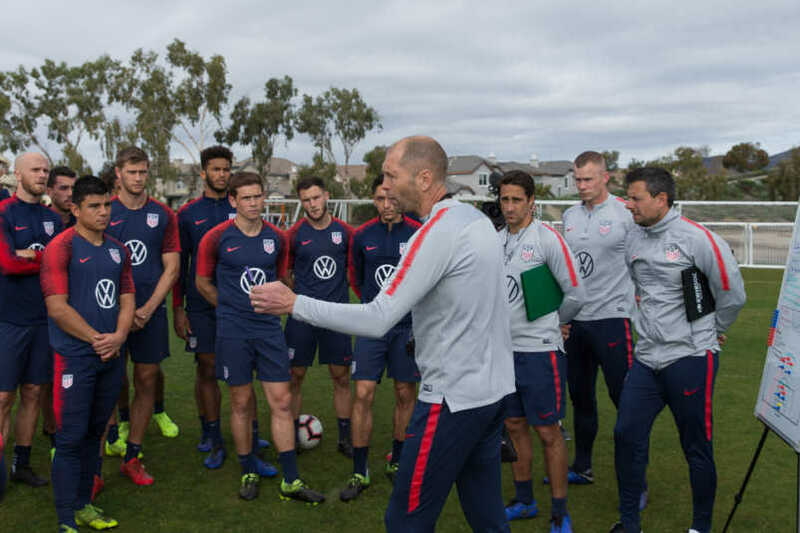 Ahead of the USMNT’s friendly against Panama, it’s worth taking a look at what influenced Berhalter both as a player and coach and how that has informed his preparation ahead of his National Team coaching debut. Like every US manager before him, there is plenty of work history and precedent to point to. In Berhalter’s case, one has to look at his five years coaching the Columbus Crew and his playing days in the Netherlands and Germany. What exactly will be Berhalter’s “style of play and the culture” for the US? First, a look at his recent past. The Crew made the playoffs every season with the exception of 2016 and reached the MLS Cup Final in 2015, losing to the Portland Timbers. All this success despite a small budget and a team on the verge of moving to Texas. We learned that he likes to use the 4-2-3-1 – the preferred formation in MLS over the past few years – to great effect. When the Crew had the ball, the fullbacks like to push forward and the center backs veer wide. Wil Trapp as the maestro in midfield often sprayed passes down the middle to lone striker Gyasi Zardes. Other times, the fullbacks supplied balls to the middle and in the penalty box. That movement of the wings kept other teams on their heels. Maximizing possession and building up plays tired opponents. While passing accuracy and possession are not qualities often associated with MLS sides, Berhalter effectively used both to win games. These tactics are highly desirable on the National Team level. Trapp and Zardes also got plenty of minutes under US caretaker manager Dave Sarachan last year. That could set the stage for Berhalter this year when limited to MLS-based players. At the same time, Berhalter also offers the National Team some dynamism. Even with the Crew, he wasn't married to any particular style. In Columbus, he used Trapp to drop between the center backs, although the lone striker has been a staple of his lineups. Berhalter played in the Netherlands for six seasons, but he spent more time in Germany. It’s that knowledge from his seven years in the first and second division, that will help him connect with the many Americans now playing in the German topflight. The Bundesliga’s official website made it a point recently. “Luckily, the 45-year-old learned more than a thing or two about man management during his seven-year stint as a player in Germany, during which he captained both Energie Cottbus and 1860 Munich. He also completed a coaching license at the renowned Hennes-Weisweiler Academy in Cologne in early 2013,” the article noted. What will this look like in the US’s upcoming friendlies? What will it look like during the Gold Cup in six months? Berhalter will use the next few weeks and the coming months to find the players he thinks can fulfill his tactics to the greatest degree of success possible. It’s an exciting time for the National Team. The Berhalter era marks the start of a journey to qualify for the 2022 World Cup. It will be a long trip, but a challenge Berhalter is up too. Especially if his past club experience both as a coach and player are able to shine through and translate to the international game.